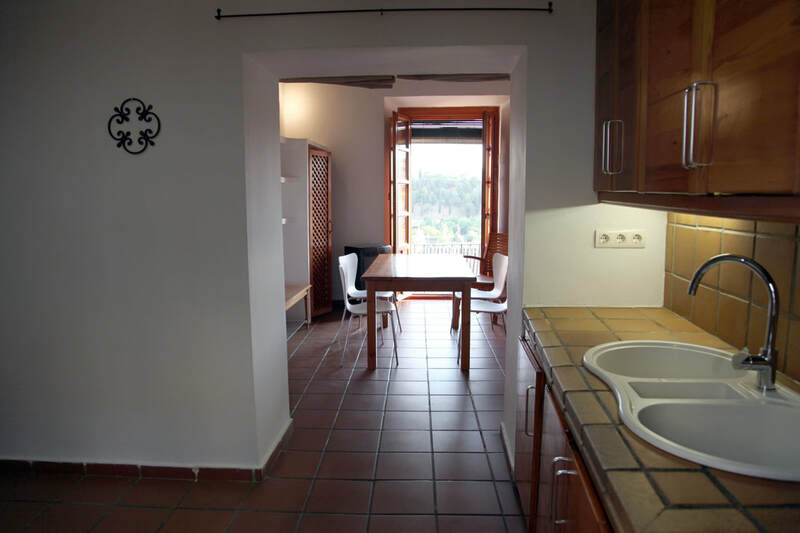 This bright 3 bedroom, 2 bathroom apartment is fully renovated and boasts views across Rio Genil. The house is located near the Realejo, 8 minutes walk from the Campo del Principe. It has spacious living areas, modern kitchen with washing machine and dishwasher and outdoor patio. Fire stove and additional heating for winter.